Welcome to another Wallpaper Wednesday feature; one of my favourite times of the week! And this week it’s a cracker, because as well as showcasing some lovely wallpaper I’ve got a great giveaway too! Steve Leung is a critically acclaimed Hong Kong-born Chinese architect and interior designer, who has produced seven wallpaper designs inspired by the Orient with a distinct Western influence. 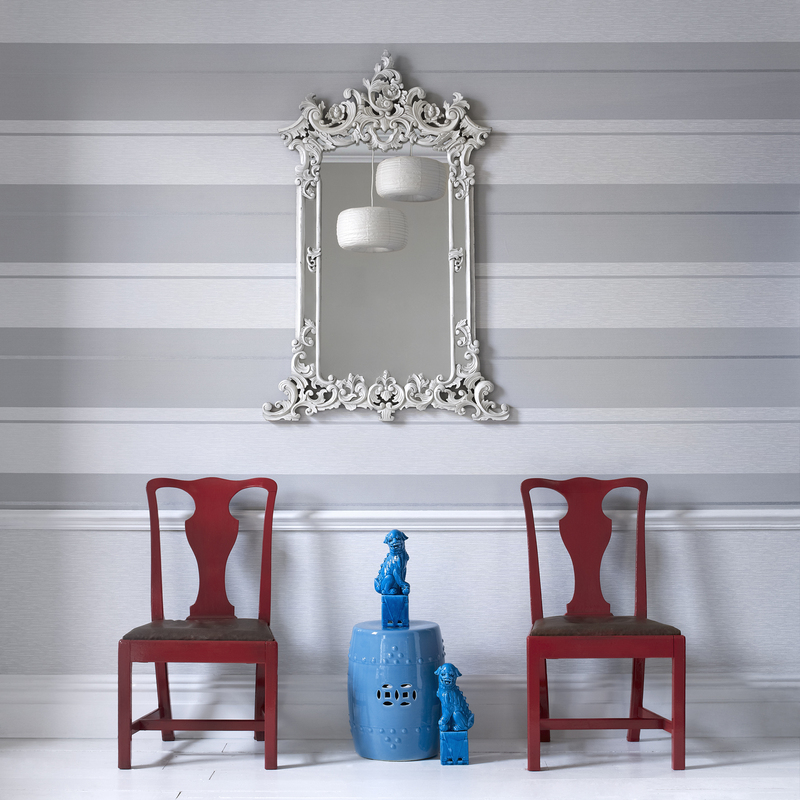 Firstly here’s Mai, a classic striped wallpaper with a metallic element. Would look great with any plain paper, and as you can see, primary colours. Next we have Ling, a geometric effect trellis wallpaper again with gorgeous metallic highlights. Juan is another stunning geometric print enhanced with glitter and metallics. Hua is a classic oriental floral pattern effect with elements of bamboo, embelished with shimmering metallics. Bao is another fabulous geometric print inspired by oriental screens. Again this one has a metallic sheen giving it a real modern edge. Yuan is a semi plain wallpaper with the usual metallic flecks that is a great way to compliment any of the papers from the Steve Leung collection. And finally, Jiao is a beautiful trailing flower wallpaper with flecks of metallic shimmer which would look fabulous with any of the striped or plain papers. All of the Steve Leung wallpapers at Graham and Brown cost just £26 per roll which I think is just great for such stunning designs. Leave a comment on the blog saying which of the designs is your favourite and why. Leave a separate comment for each different entry – thank you. The prize is one 4 rolls of wallpaper from the Steve Leung range at Graham and Brown . There is no cash alternative. Entrants must leave a comment as per the instructions above. Entrants can also follow Love Chic Living on Facebook, follow Love Chic Living on Twitter and send a tweet. Competition closes on Wednesday 3rd april at 6pm. The prize will be given direct from the Graham and Brown PR company. I don’t usually enter competitions unless it’s sport but I’m absolutely loving the Luan patterned wall paper – so retro that just by looking at it transports me to another time! In fact I think I would just sit and look at it all day and forget all my troubles…….sad but true! Jiao – it’s utterly gorgeous. Can see this as a feature wall in our library. I’ve tweeted (@MyMillsBaby) and followed you. Also on FB as Gemma Chamberlain. I absolutely love Jiao. Its simply stunning and I would love a feature wall with it. The Jiao wallpaper is my favourite.Such a lovely pattern and colour. Jiao. Duck egg blue and twirly bits, what’s not to love? 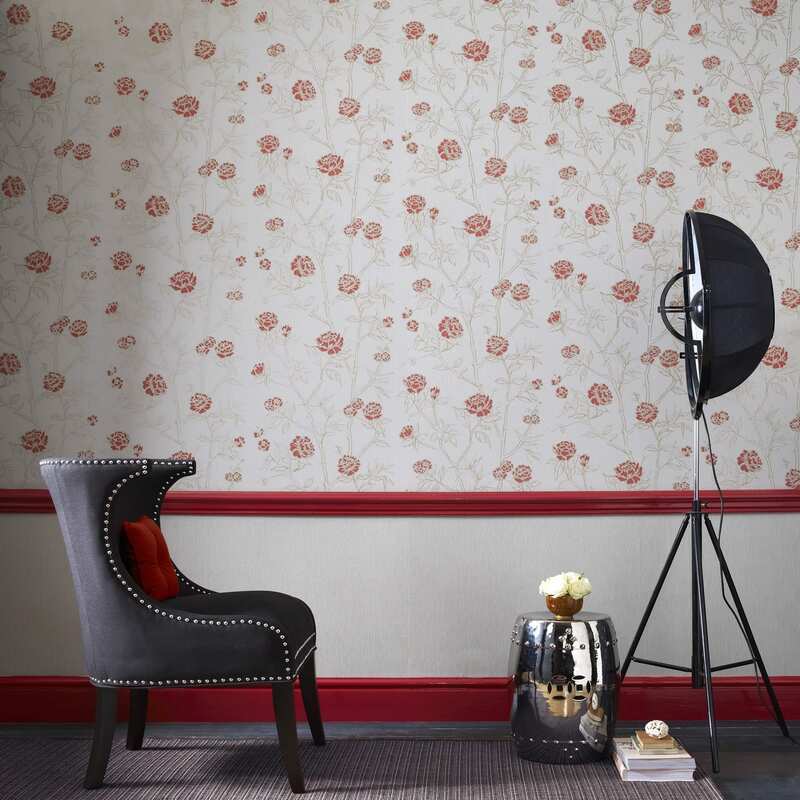 The Jiao is a beautiful floral wallpaper it would be lovely as a feature wall covering, it stands out and looks so fresh. my favourite is mai with jaio a close second! lovely wall papers, looks really stylish. my house is really in need of a good make over in some of the rooms! I love the Luan. It’s dark and sumptuous and reminds me of a masculine dressing room. I just wish the other half was dark and sumptuous too! And, I already follow you on Twitter @PantsToPolitics. Many thanks and kind regards. I really like the jiao which would be lovely in my bedroom. But I really like the ling too tough to choose a favourite. Love Jiao! it would be amazing in our living room – we have an open plan living and dining room so it would be nice to divide them up a bit with differing decor. I think it’s Mai for me. Modern yet retro. Jiao is beautiful! It’s so cool and fresh. A really elegant way to update a space! I LOVE LOVE LOVE the Juan wallpaper because i love browns and it is mesmerizing , i could sit looking at the wall for hours! I love the Ling – I would love to use on a feature wall in our lounge and to cover an ugly cupboard in the hope it will blend into the wall! The jiao in my opinion is the best- it creates a sense of calm and invites you in. I love the Jiao paper – it’s so relaxing and calm. The Mai is my favourite because it’s so classy and to me screams sophistication which is exactly what i want for my home! Jiao – because…..it’s totaly unique,beautiful, exotic and would make my thus otherwise drab stairs look like a Million Dollars (and also make my Mum-in-law very jealous lol!! Please make it mine, I think it’s divine. Jaio absolutly gorgeous has a very french feel to it, would look amazing in my living room with white accessories. My favourite is Jiao, because it’s feminine, subtle and because it would look amazing in our guest room. I love LING. It reminds me of some old dance records I have from the early 90s! Juan! Love the 70s inspired geometric design, great colour too! I’m all about LING. Can see it as a glamourous backdrop to utilitarian mid-century pieces. I love the Jiao paper,the colour and pattern is lovely and warm and would make the room feel inviting. … a lovely pattern and colour. It would be the blue Jiao for me as a feature wall in my hallway, which is currently painted a similar blue, but is not working 🙁 I think it needs that injection of pattern and shimmer for a more glamorous look! i tweeted as @JulieMRB but couldn’t post to link to the tweet. Yuan. love this – it would be timeless and add a touch of luxury. we need to decorate our bedroom and this would be ideal to go for a more grown up feel. I probably would have enough to share with my sister who is about to move house. Wow thankyou following on facebook and twitter. Jiao os my favourite..I like how pretty and understated it looks and I think it would look great for my mum when she redecorates! I love Mai, it would be amazing in my bedroom ! Lovely wallpapers, love the Ling and Jiao, tweeted @redberries5, many thanks. Ling – it’s really different and fresh. Ling would look great in my lounge! Liked on fb Hannah Samuel. I love the Jiao design best. The Jiao wallpaper is my favourite.Such a great pattern and colour. Jiao is beautiful. We are looking to redecorate and I had thought of pain until I saw these stunning designs. I love Mai, it’s funky yet understated. Absolutely fabulous designs, would look luxurious where ever I choose to wallpaper. I love these retro designs but Hua is my fave. Love love love Jiao! It so elegant yet funky!!!! Jiao, I find it the most relaxing. Love Yuan and have a sitting room wall crying out for it would just love to be lucky but if not will be saving up for the summer decorating kitty. i love the Jiao its a lovely colour and would make a room look relaxing and tranquil to be in. My favourite (and it was hard to decide) is Hua. I love Ling! I really like geometric prints and it looks lovely and bright. I love Ling!! The geometric patterns and colouring is beautiful! Tweeted under twitter handle @tikielf. The Jiao IS LOVELY, WOUD DEFF MAKE MY ROOM LOOK BETTER! I love the Jiao, the colour and pattern are so restful, would look fab in a bedroom or front room. Following Facebook and Twitter @cistolic. I love the Bao – it’s striking! Jiao is gorgeous. It’s refreshing, bright and cool. I love the Juan wallpaper – so pretty! Hua is so romantic, as I am! I love the Hua it’s so chic and feminine without being overpowering! Mai is my favorite, it’s really timeless. Love Jiao, so serene and pretty. I would love to use the Ling wallpaper in our new living room (moving into our very first house mid May). Have followed on twitter (@seventeenacorns) and on Facebook. I love the Jiao, it looks very summery and bright! I love the JUAN design, it’s light and airy and would look fabulous in my hallway. Love the Bao wallpaper. Would make my lounge look really trendy. I love the Jiao design, its a beautifully romantic paper that would add panache to any room. I’d go with the Jiao. Juan is my favourite. Close call though. i love jiao, id love that design for my bedroom! I love the Mai wallpaper because it is so simple and classic. Love Hua, been looking for wallpaper for my bedroom, think I’ve just found it, love the design and colour. Ling, a geometric effect trellis wallpaper again with gorgeous metallic highlights. It would look great in my kitchen diner. Ling is my favourite, love the colour and pattern. I love Jiao – it’s so elegant! Jiao is gorgeous. It’d look amazing in my dining room. Loving Mai that’s the one for me and the next revamp. Juan is my favourite. I like it because it reminds me of a maze. It’s fair to say, it’s pretty a-maze-ing! I like Ling as it is modern and would be great in my living room. I really love the Ling wallpaper. All are fab but the Jiao is my favourite. The Bao wallpaper would FINALLY finish of my living room, perfectly! I love the Hua woild look great in my living room thank you. Jiao is my favourite, I love floral designs and this is gorgeous. My favourite is Mai as it’s a classic style which can go with almost every colour palette. I think the Jiao wallpaper is magnificent! I am just about to redecorate so winning this would be amazing!!! Mai is my favourite as I’m loving stripes at the moment and it would fit perfectly in any of my rooms! I love the Jiao design, it’s a gorgeous colour and not too dark as to overpower smaller rooms. I love ‘Mai’ – would look good on the wall in any room. Would love this for my bedroom feature wall. They are certainly FABULOUS. Love it! I wouldn’t normally consider wallpaper but I think LING is fabulous. Our lounge has a few bits of mid-century furniture and this would work beautifully. Hua would look perfect in my lounge! Jiao is my favourite as it would look beautiful behind my headboard as an accent wall. I love the Yuan in the pale blue/green shade, it’s just what I need to brighten up my bedroom. Loving Jiao, I can see all sorts of things looking into that. Jiao is my favourite. Really pretty and would look beautiful in our bedroom! I absolutely love the Ling in blue. It’s got a lovely retro feel and is totally different from the run of the mill wallpapers that are everywhere. I think it would look great in a bathroom or hall. Jiao. So soft and ethereal. ilove Mai, simple but elegant. really love this wallpaper!!! stunning!! I am liking Mia, reasons being I think it would look trendy in the soon to be decorated office/study as its not over the top with the print. I feel that it has a calm feeling to it but not so much I want to fall asleep. Said all this in original comment then saw the line – send each in a separate comment!!!! My favourite is Jiao, really stunning! 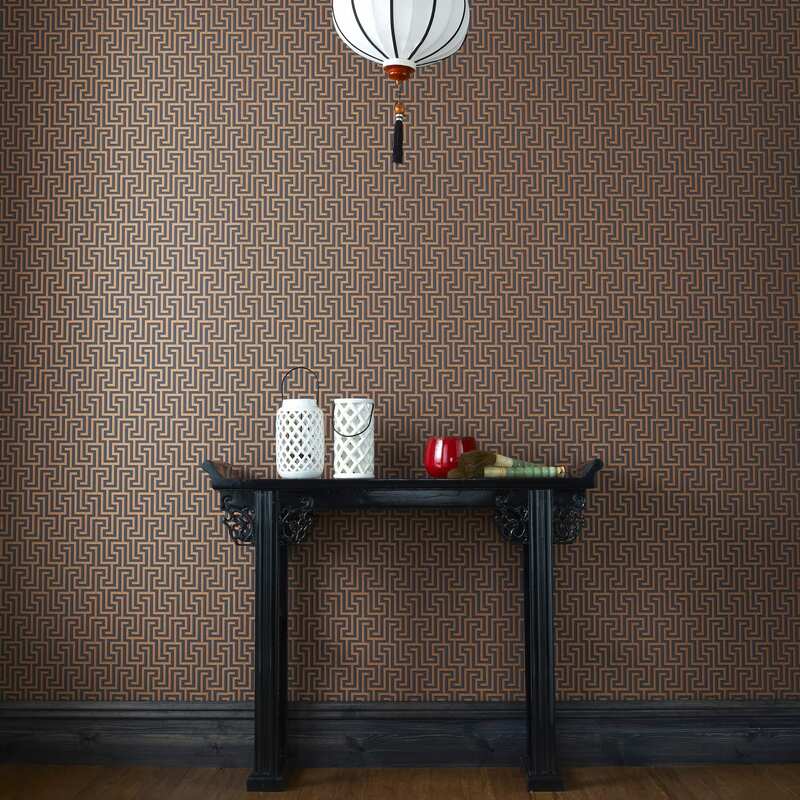 The Jiao wallpaper is beautiful, would make a stunning feature wall. Loving that Jiao wallpaper – so much so, that it’s given me inspiration on bedroom colours for my new house! Hoping to complete later this month and need some decorating ideas! Gorgeous wallpaper! I’m in love! I love the Hua patterned paper.